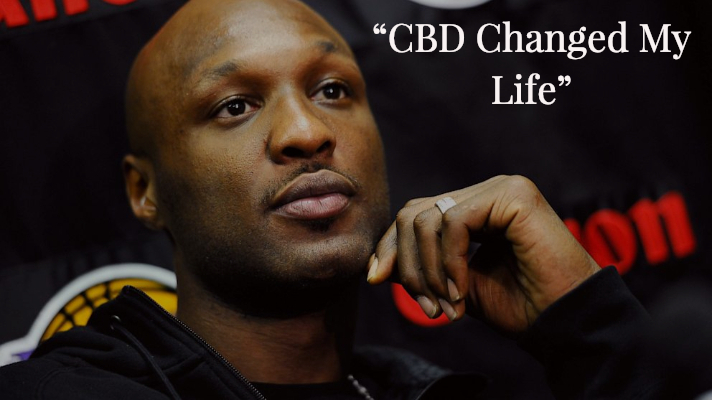 After losing almost everything to even his life, Ex-NBA star Lamar Odom has revealed to the public his latest entrepreneur venture into the booming marijuana industry, the former star has now launched his own line of CBD products focusing on the production of vape pens. TMZ Sports reports the former players’ company “Rich Soil Organics” has partnered with Five Star Juice to release a line of disposable CBD Vape pens called the Odom Vape Pen. The collaboration companies are expected to announce their product this week at the annual Tobacco Plus Expo in Las Vegas. The spotlight Ex-Laker has been working on his product since he suffered a life-changing overdose that left him in a coma for over 4 days. This was when Odom claimed he found stains of cannabis that helped his recovery and keep him from relapsing. During his road to recovery, Odom suffered12 strokes and six heart attacks. He attributes his life and comfortability to CBD and other organic cannabis products as perfect alternatives to medicines for people who’ve had mirroring experiences. “It’s a perfect time to offer these Cannabis solutions to the public who may be going through similar body issues as I am,” Odom believes. According to Odom Vape Pen’s pre-sale numbers, it is expected to be one a very profitable hustle for Lamar Odom who wishes to follow other all-star athletes like Joe Montana and Mike Tyson as cannabis moguls.